I really can’t wait to see the finished coat. Each new section is fascinating! I agree with you that the light-blue thread probably needs to come out. It is too much of an eye-catcher :). But it all depends on what else is going in! And congratulations on becoming a member of S.E.W. Very much deserved!!! Very interesting! Using the felt is a great idea to add in an extra dimension. The colours are interesting and it will be interesting to see it all come together! I agree about the light blue thread being changed but over all it looks great. 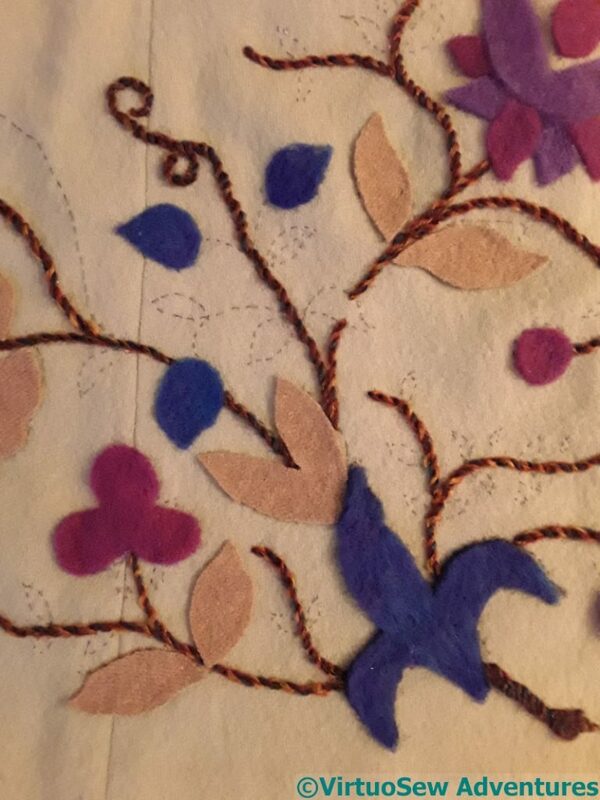 These pieces of felt will showcase a lot of interesting stitches. 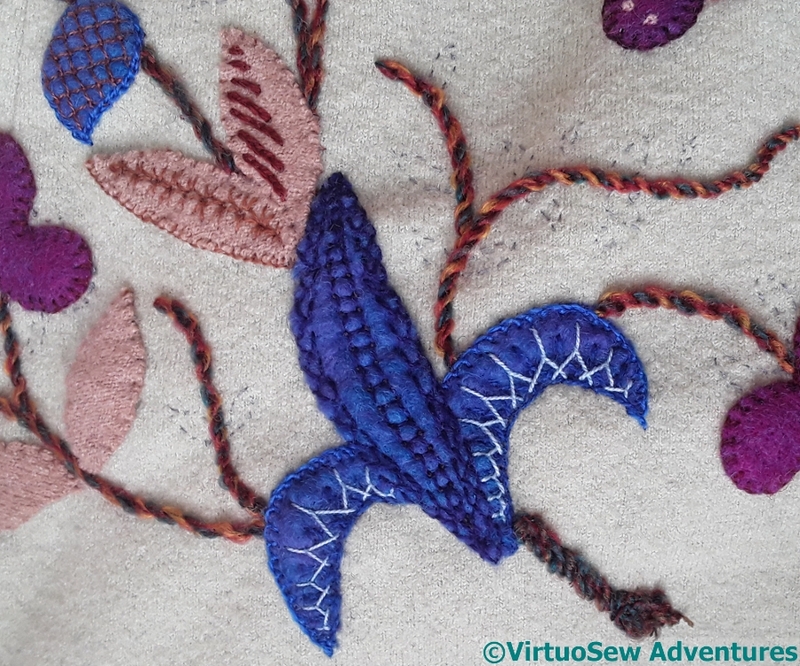 Are there Interlaced Up-and-Down Buttonhole stitches on the left fawn leaf? Closed Feather Stitch is a good choice for the edges. Hmm, I was rather liking that light blue Cretan, but then I took a fresh at the whole three-section leaf and thought Oh, a blue banana being unpeeled! So it does need less contrast with the centre part or a less curved filling to take the bananaryness off. I like that blue – very royal!